Russell Purvis's Weblog | Bring good out of the world and fighting evil. We live in a world where choosing a side is not only expected, but it is a prerequisite for acceptance. Are you Democrat or Republican, a liberal or conservative, a capitalist or a socialist? No matter where you turn, there is a call to join a group in opposition to another group. What is never revealed to anyone is how much hurt is involved, not until it’s too late. Choosing sides invites pain and distrust but inviting opposing sides to talk in grace and honesty invites healing and creates a future. In Joshua 5:13-14, Joshua meets with God but doesn’t quite realize who he is. He asks the question “Whose side are you on?” The answer given is surprising. “Neither.” This about where Joshua is in life. He is leading a people who were in the midst of fighting for survival. If there is any moment when anyone would have plenty of reason to be on a side, this was it. Also, don’t forget that God was the one who called them out to begin with. However, He is the one who is not choosing sides. If you take this passage and much of what is recorded of Jesus in the New Testament, It becomes apparent that God is not interested in what tribal divisions we have placed on our lives. He has a much bigger plan to save humanity and His creation. Much of the problems throughout human history can be connected to people drawing lines based on disagreements and telling the other side that at best they can’t be seen around them or at worst, they hate them. But God never does that. No matter our place in life, God always says, “I’ll always be in your corner and no matter what sides anyone is on, that will never change.” The question is, if this is God’s mission, what is our mission? What are we doing to bring hope for all? Are we joining sides and adding to the pain this world has to offer? Honesty is a significant aspect of relationships. Too many relationships have been ruined by a lack of honesty. There is no limit to how this can ruin even the most important relationships. In marriages we need to open about not only what we have done but also what we feel and think about the state of things. In friendships, it’s the same. In business, it’s the same. Every relationship shares some common thread of being honest. First, honesty about how we feel is crucial to relational health. It seems so simple, yet we always forget to share it. It’s important to be heard and everyone knows how much it hurts to be silenced or ignored on some level. It’s very degrading and psychological pushes us towards just accepting in order to make the relationship survive or to fight the issue at the risk of losing the relationship. Regardless of the initial outcome, this openness will lead to health. Second, honesty about what we have done is important. If you have to hide what you have done, that may be sign of a bad relationship. Fear is always a killer of intimacy. Sometimes, it just takes practice. Continually practicing honesty can make it easier. Other times, there are deeper issues with the relationship. These other issues will need to be addressed, sometimes through counseling. At some point, honesty will need become normal, otherwise, the relationship will suffer. Third, honesty about our possibly being wrong is necessary. This is very different type of honesty. Looking inside and being open to making mistakes will not only make the individual healthy, it will bring the relationship forward too. There is nothing more relieving than relinquishing the need to be right or the desire to win and have the other person lose. At the same time, it is freeing for the other person because they don’t have to have a strategy defeat me. The perfect example of this is Jesus with His disciples. He was always speaking into their lives where they were. He also was not afraid to share His heart with them. Even in Matthew 26, Jesus predicted all of the disciples would leave Him the night He was arrested. Peter, the one who always spoke too quickly, was adamant that he would not. Jesus went along to tell him exactly how Peter would deny Him during the trial. Although some of this was Jesus revealing things to His disciples through divine revelation, He was also speaking into what He knew about Peter. Peter was a talker who was ready to start a political revolution, except when it meant going against the crowd. At that point he would back down. If we are to be like Christ, let’s fight to be honest in relationships and seek wholeness. God has designed humanity to exist in healthy relationship, not in fear and separation. We live in a culture where patriotism is the marker of a good person. Whether it is the liberal or conservative version of it, it is becoming the beacon for good living more and more. Conservatives tend to say it’s about guns, taxes, and the way it used to be. Liberals tend to say its about public safety and progress. Both share a focus in one question, how can I be a better American? There is not anything wrong with living in peace with America, but it is something that has consumed the Church’s American brothers. There are many churches whose sole platform is to promote the message of the moral majority or the religious right. There are others who think that God has called us to live out politically left positions. Regardless of the details, the sole primary obsession is how can I become the American that I need to be, but without first asking what would God have of me. Even trusting in legislation (which almost everyone is guilty of) to produce a thriving culture that benefits the poor and needy does not reflect trusting God. Legislation can help make certain things better, but to truly protect the needy, those who are privileged need to value the lives of the needy and be willing to share life with them as directed by God. Just because things are on paper does not give an idea power. What makes something powerful is if a movement gets into the hearts of people and they begin to see why it’s important. For the Church, the first and sole identity that we value is the one we find in Christ. It is not the one we find in a country. It is not the one we find in a political party. It is not due to race, gender, or socio-economic status. It is in Jesus that we find our example. Through the Holy Spirit, we can begin to understand where our loyalties really lie. It is not the flag we were physically born under. It is only through the death and resurrection of Jesus, the only hope of our world ever being made whole. Many of us are confused. We have a president that surprisingly won. Some of us are torn between acceptance and outright denial. There were things said by the president elect that were questionable at best and it worries certain Americans, but what do we do as Christ-followers? As Christians, we have a duty to hold people to the flame and call out a problem when we see it. Regardless of who won the election, we need to be ready to hold the winner accountable. Whether email problems and questionable financing or sexist and racist comments, we need to be brave enough to speak truth. We commonly feel afraid to do that. We tend to act as if loyalty to a party or nation is more important than virtue or character. That’s a major problem of our culture today. Loyalty exists without virtue and character. Loyalty is great, but by itself, it becomes blind and misled. One country in recent history that fell for that kind of loyalty was Nazi Germany. When Adolf Hitler came on the scene, he captivated his audience and they were loyal to him above anything else. Asking questions and challenging wrong was discouraged. If someone refused to honor what the country stood for or support its military, they were at best ridiculed if they were lucky. At worst, it will lead to mass bloodshed. We are not exactly like Germany was in it’s darkest hour, but we could learn from their mistakes. The up and coming president will make decisions and definitely make mistakes. If we hold our leaders accountable with character and virtue, we can show any country light, truth, hope, and a way to love their fellow man. It is up to us to look at the parties and candidates and, while we may or may not have voted for him, say what Christ has to say to the culture today. There are times when Jesus will sound democrat and then republican, conservative and then liberal. Jesus never really aligned himself with one side or the other. Instead, he called us to align ourselves with Him. In the end, our voice has to sound Christ like. We are not call to be Clinton-like or Trump-like. This means we are to be open to confront as well as resonate. In Samuel 12, Nathan, a prophet, confronted King David. David was leading a major military campaign against a group terrorizing the Israelites and was a national hero. This was also a time where anyone approaching a king and challenging his actions would have been killed by the king’s right hand men. I’m sure whoever was guarding David at the moment was thinking, “How dare this low life speak up like that. We should be behind him all the way. Go Israel.” Nathan was brave enough to stand up to a very powerful leader. At the risk of being killed on the spot, he stood up to the powers that be and said what God was saying in that moment. Although, we have come a long way from beheadings, we still need bravery. We need to be brave enough to look at current politicians and say that certain things are not right. Today, we see so much rhetoric demonizing ethnicities, promoting war as good, and distracting everyone from taking important steps to deliver hope to the communities we live in. Don’t be tricked into being their pets. Speak up against injustice and oppression against the weak. Point out greed. Call the love of violence evil like it really is. Let the country you are in know that you are not afraid and will deliver hope to those who need it and stand against those who want to through others into fear. In the United States, we have seen people divide themselves along party lines. The only titles that we allow ourselves are conservative right or liberal left. The only titles we allow each other are friendly if you’re in the same tribe or enemy if you’re on the other side. The problem gets worse. When we do not trust each other, we think the other side is a threat to our survival. Much like warring tribes of the old days, we tear each other apart. We keep thinking that the other is a threat to survival and think that they need to be stopped. This election was the prime example. One side kept saying the other was crooked. The other side said the opposite side was deplorable. Then goes the yelling, the fighting, and then violent expressions of hate and disgust. It wasn’t always this way. Go back to the generation that lived through the Second World War. Most of politicians from that era did more to work together and get things done than our politicians today. There were more liberals who were republicans and more conservatives who were democrats. You didn’t need a third party because both parties were diverse. Jesus did not believe in tribes warring against each other. He saw too much of it and it led to too much bloodshed between Israel and everyone else. When He started the Church, He meant for it to be a uniting tribe of peace. We have our beliefs that make us unique, but it does not mean we use those beliefs to make enemies. Even inside the Church, there are those that lean left and those that lean right. What holds us together is the Spirit of God in all of us. When you feel the urge to talk about abortion, marriage, guns, or the stupidity those who threatened to leave if a certain candidate won, remember that if you claim Christ, you are claiming the Christ that the other side claims too. Speak with your convictions, but taper it compassion and love. We weren’t designed for prolonged conflict based on arbitrary divisions. We were made to be an expression of the hope that springs out of Heaven. 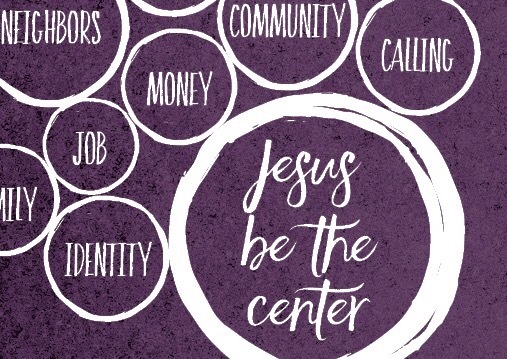 Jesus is the center for all things a Christian should do. The problem with that is our records of what he said and did are around two thousand years old. People don’t talk or exist like they did back then. It then becomes easy to look at a verse and just use today to interpret something from a long time ago. Pray: praying for God to open our hearts and our minds to His desires and not just ours. Be Humble: we need to realize that humans make big mistakes, even when many humans think the mistake is the right thing. Research: look into what was just read and find legitimate scholars along with views that differ from your own. Even in the way we talk about politics. Humans have tendency to draw lines when it comes to other humans. All throughout history we have made tribes, created enemies, and even been led to violence because lines were drawn. We have issues, and it becomes very clear when we have elections. The lines are drawn to point out who is right and who is wrong, but never with any good reasons. If you pay attention, all sides have claims to what makes them the right choice at the expense of making the other person evil, whether they are evil or not. The definition of good and evil becomes about whose side you are on and not about your character. We have done this before. We can look at the Civil War in America (or many other wars) as an example of positioning our side as right and their side as wrong. Although elections have not evolved into firing live rounds at the opponent, our words are powerful enough. They destroy relationships. There is a way away from this. Peace is attainable and we can erase those lines. Disagreement does not have to destroy relationships. One of the darkest times of our days was apartheid in South Africa. There was a very strong separation of the whites and blacks in that country for a long time. That status quo was so strong that acts of violence were committed to defend it. When Nelson Mandela came into power, everyone was worried about retaliation due the history of violence and oppression by whites, but an amazing thing happened. Mandela, with the help of other great leaders like Bishop Desmond Tutu, organized the Truth and Reconciliation Commission. Instead of going after the people who had caused problems, he allowed them to participate by giving confessions in exchange for forgiveness. All you had to do was confess your crimes and all was settled. It took so much grace and love for everyone to get through it, but the country was better and stronger for it. We all need our Truth and Reconciliation moments. How many of us have started little civil wars with friends and family because of differences over politics or something else? Who do you need to sit down with to confess wrong doing and set new expectations for a better future? Do that today. Jesus once said, “Your love for one another will prove to the world that you are my disciples.” (John‬ ‭13:35‬ ‭NLT‬‬) As a Christian, you can have a God that is greater than any president or congress person. He has ruled his people for over 2000. America is not even 300 years old. You have access to a God who can give you peace with your neighbor and give you a confidence that the Democrats, Republicans, Libertarians, and Socialists cannot. Take advantage of that gift. It is the only gift that will be eternal. I’ll vote for someone who shows confidence in their beliefs, but who is also open to other opinions. They should be bold, but also should practice servanthood in the purest sense. They should appeal to our better selves and not our fears and insecurities. They should be focused on making lives better and not just protecting national interest. They should reflect Jesus, even if they do not verbally reference him. If I see that they do or say things that are opposed to the basics of decency God made us for, I cannot in good conscience vote for them. 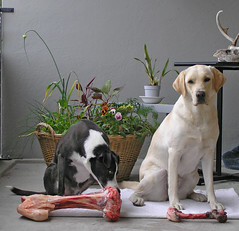 Dogma will not be the criteria factored in my voting. A step towards the will of God will determine my vote, unless no candidate moves us in that direction. In that case, I cannot in good conscience vote because that would be a vote for evil. My vote must reflect the will of God for peace and less violence, love and less hate, compassion and less greed. Vote your conscience. Vote with God’s hands and not your own. Jealousy is a very dangerous thing. Many of us are aware that this is a very blinding thing, but not aware of how subtle a thing it really is. Take a look at Mary and Martha in Luke 10:38-42. Mary and Martha are thrown into the middle of this type of situation. Martha was being the good host and preparing things for the guests. She was doing the right thing that was expected of her. Mary on the other was doing something different. Women during that time were not supposed to sit at t he feet of Jesus. That was reserved for men who were learning from the rabbi to one day lead their own students. Martha was being allowed to sit their and learn. We all have moments where we are doing what everyone says is the right thing to do. Yet there always seems to be someone who seems to be getting a better deal. They don’t do what’s expected of them, yet God seems to take them into incredible moments of blessing and opportunity. Martha asked God to set Mary straight. She needed to be put in her place. I don’t think it had to do with her doing something wrong. It had everything to do with wanting to be in Mary’s shoes. Martha was trapped by a desire to do the expected right thing, but was missing out what was actually the best thing. God incarnate was in that house ready to share His wisdom with her. Jealousy is never about someone doing right or wrong. It’s always about us not getting the good experience we expect. We expect that when we do the right thing we get blessed. Chances are, the exact opposite happens. Something breaks, a medical situation comes up, or money is drained from your account due to the bills. All the while, someone else we know is getting blessed with opportunity to grow. Jealousy is a natural result of seeing someone else get the blessing you think you deserve, but what jealousy turns into is worse. It first robs you of your worth. Most people attach their worth to their circumstances. When life is good they are good. When life is bad, they are bad. Jealousy also robs others of worth. Try talking with someone or about someone your jealous of. It’s really difficult. What happens is the jealousy in the end disrupts unity. You can’t be united with someone you’re jealous of. To get rid of jealousy you have to buy into love first. Choose to be proud of another person’s achievements. God followers should never be jealous of another follower. If you pit yourself in a them vs me mindset, you will eventually find yourself jealous of them. But If you join together with them in the same movement and truly focus on the same goal, then you have no reason to be jealous because you are sharing the success and glory. Martha pitted herself against Mary and not only was jealous, but was missing a moment of divine opportunity. There’s always somebody that has more money, a bigger house, a faster car, or the coolest gadget. There is always somebody who seems to have it better spiritually also. We can either choose jealousy and experience loneliness, or embrace community and find a reason to rejoice together.